I received this email from Histogen Inc (guess I’m on a list of people to update for some reason). 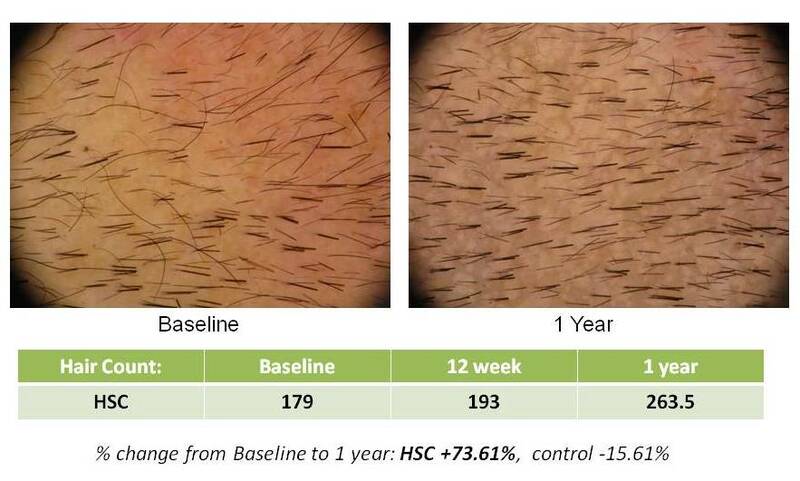 Histogen is excited to share the one year results of our pilot clinical trial of HSC for hair growth, which we will be announcing tomorrow. Please find the news release below. Particularly interesting and exciting that the new growth was not only rapid (significant growth at 3 months), but has continued over time without additional treatments. A statistically significant increase in hair count was seen at the one year follow-up. Please feel free to share the announcement with friends, family and/or your local news outlets. As always, if I can answer any questions please contact me directly at the email below. Hope you are well, and look forward to being in touch with further news soon! PS – You are receiving this email as a member of Histogen’s HSC interest list. If you no longer wish to receive news from Histogen, please reply to this email and we would be happy to remove you from our list. Histogen, launched in 2007, seeks to redefine regenerative medicine by developing a series of high value products that do not contain embryonic stem cells or animal components. Through Histogen’s proprietary bioreactors that mimic the embryonic environment, newborn cells are encouraged to naturally produce the vital proteins and growth factors from which the Company has developed its rich product portfolio. Histogen has two product families – a proprietary liquid complex of embryonic-like proteins and growth factors, and a human Extracellular Matrix (ECM) material, ExCeltrix. seems like they (aderans too) are near the goal but even that they’re so far away from a release… all what i can ask is WHY?.. There is definitely thickening, no doubt about it. » There is definitely thickening, no doubt about it. Hurray! There is NO NEED for big and clunky HT’s anymore! whats the size of the treated area in picture? 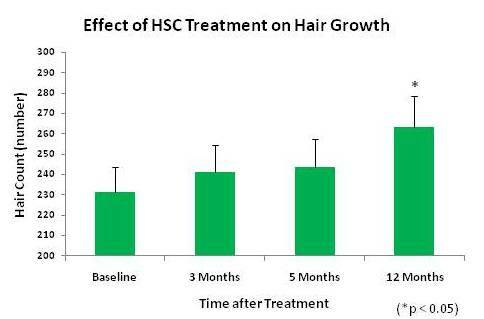 If these results are legit, they’re pretty amazing - certainly the most amazing regrowth ever attained by a protocol. I hope that they succeed in finding the financings, or maybe they have already found it…? » Do you know something? I can’t imagine they’d have trouble with funding after these results. with regards norwood class 6 or 7 will this provide good results or for mainly diffuse thinners. I think the question now really is what happens when they use compound injections? Continued hair growth for a year after just one injection is pretty impressive though I have to admit. Now I want to know what happens if you have 2 injections in a year? 3? Do you get a “boost” of hair every time? If yes, and it’s safe … bingo. » » mainly diffuse thinners. » pretty impressive though I have to admit. » you get a “boost” of hair every time? If yes, and it’s safe … bingo. Wow, this is quite good! They don’t say if this is the best trialist, or an average one, but anyway, it is very good. The fact that the results improve constantly during the first 12 months is the best part of all. the best question is: it goes to work in total bald areas??? after terms confirmed this question, we will be able to commemorate. Keep that in mind - all this data is from a pre-stage safety trial. They are 7-10 years away from commercialization. » are 7-10 years away from commercialization.